SMC GROUP -SMC Multi-Media Products Company Ltd. 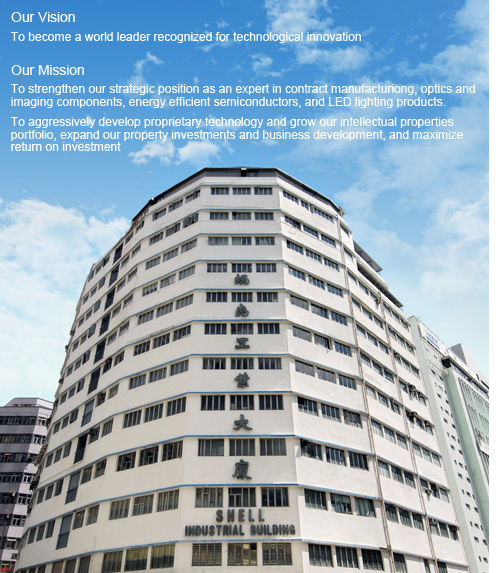 Shell Electric Holdings Limited ("SMC" or "the Group") is a leading manufacturer in consumer electrical appliances since 1950s.Expanded upon its strong industrial foundation and management expertise, SMC has today consolidated its business operations into three major areas, namely Manufacturing, Technology and Investment, giving the Group more synergetic advantages in its future development. SMC maintains healthy growth in its core traditional product manufacturing business. At the same time, the Electronic Manufacturing Services (EMS) and other technology business initiatives are increasing significance in the Group is strategic focus of development for the future. The Group also continues investing in high potential business ventures for long-term profitability and expansion. The Group is global business expansions are supported by the long-term partnership with reputable global companies. While gladly embraces the outstanding accomplishments to date, the management is not content to rest on its laurels. The Group is committed to on-going pursuit for innovation, sharpens the competitive edge in order to achieve long-term profitability and business growth with its partners. Five decades of success and solid financial position provides SMC a strong foundation to accomplish new milestones ahead.